Description: The W. E. Hill and Sons firm is one of the oldest in continuous existence in the world, certainly in England. Their roots run deep, dating back to at least 1753 when Joseph Hill was crafting and restoring fine instruments. The firm has continued to produce the highest standard of craftsmanship throughout the centuries. Many of the top bowmakers trained in the Hill and Sons firm, including James Tubbs, Arthur Bultitude, William Charles Retford, and many others. 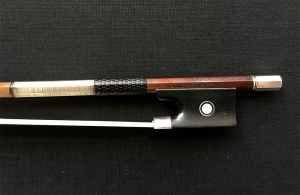 From this, the firm was able to gain a healthy reputation for producing the finest quality bows. 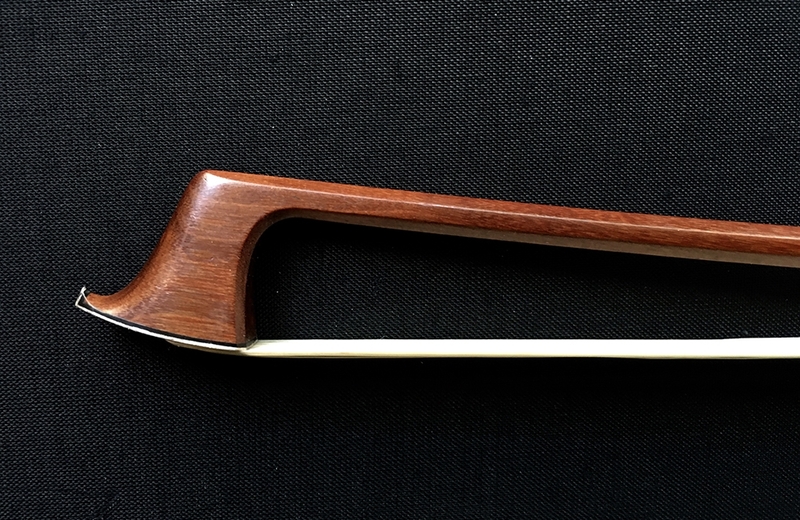 This particular bow is in near mint condition. It was made by William Grieve Johnston during the 1930’s. 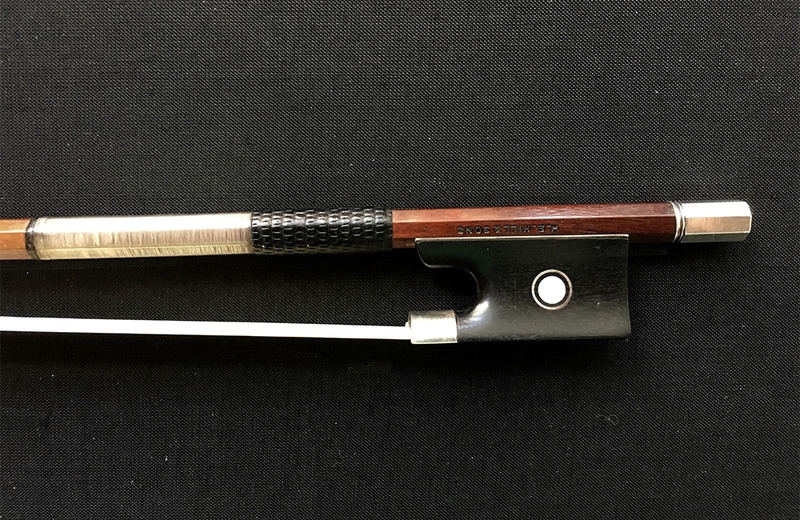 Silver and ebony mounted onto an octagonal stick of red-brown pernambuco. It is well balanced and produces a smooth, even tone across the strings. Weight: 70.5g.